Guess what? Hepplewhite, Sheraton and Chippendale were people. :-), not just furniture styles. 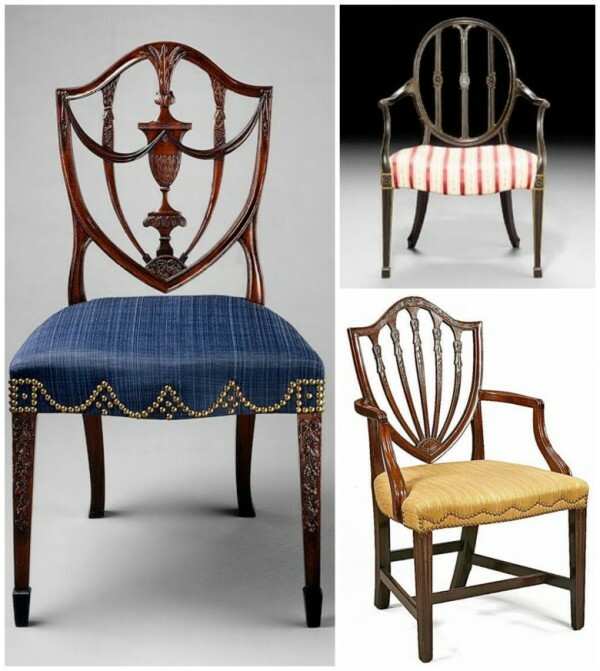 They are the 3 great figures in English furniture design from the 18th century. Their work was so influential that their designs were named after them. 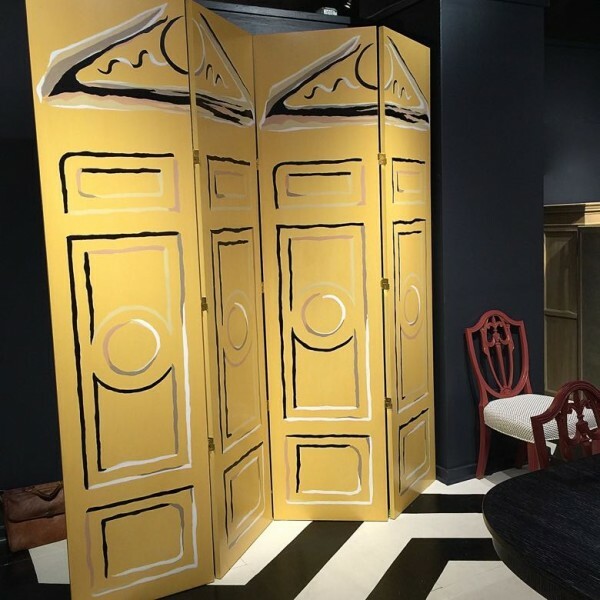 Because they all designed during the neoclassical period, it takes a close look to identify their furniture. I will cover distinguishing factors in several posts. This edition of Design Dictionary will focus on Hepplewhite. Let’s take one furniture category out of the mix: the chair. Hepplewhite’s most iconic design is the shield-back chair. Although he introduced the sideboard and small chest before the others, his chair design is his most signifiant calling card. Begin by looking at the chair back. 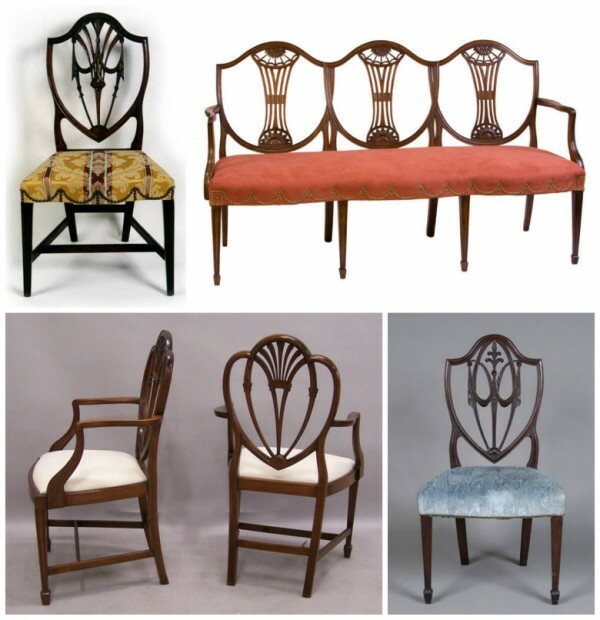 If you see a chair with a shield-shaped back, or one of its variations– such as a rounded, hooped back, or heart-shaped back, he likely designed it. Next take a look at the legs. 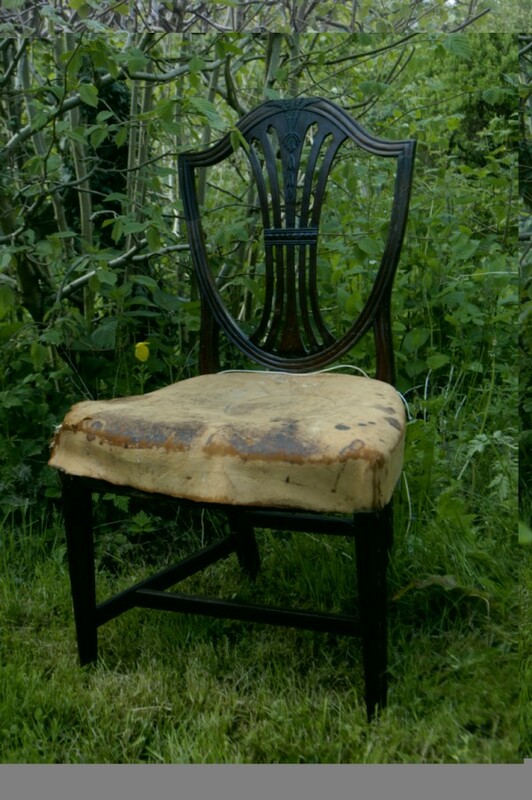 Early Hepplewhite chairs (and much of his other furniture) often have legs that are slender and tapered, terminating in a restrained spade foot. Finally, keep in mind that others copied his designs. Chairs that he actually made did not survive. George Hepplewhite’s furniture is more svelte, lighter and curvilinear than designs by his cronies Sheraton and Chippendale. It also tends to be more ornately carved. And remember that he preferred a slender, tapered leg terminating in a spade foot. After his death in 1786, his widow Alice published his designs in several editions of a book entitled the Cabinet Maker and Upholsterers Guide. Many furniture makers, including makers today, have copied his timeless work. Dining room photo via Houzz.